Frameweld offers a compelling combination of quality and value in accelerating innovation for medical and healthcare education. Frameweld’s learning platform brings cutting-edge medical education to the online community allowing physicians and medical practitioners to integrate ongoing education with their busy clinical schedules without having to leave their practices and patients for remote conference destinations. We empower CME providers to create and deliver online courses in a compelling rich media format that streamlines physician workflow and reduces the burden of paperwork and tracking of credits that typically accompany CME activities. Our powerful learning analytics and dynamic reporting systems drive decision-making and productivity. Designed to improve healthcare professionals’ user experience, comply with ACCME guidelines, reduce administrative costs, and demonstrate measurable outcomes, we have formed trusted partnerships in the CME industry, which have consistently delivered value on a recurring basis. Frameweld created a custom learning platform for delivering online CME at Columbia University’s College of Physicians and Surgeons. 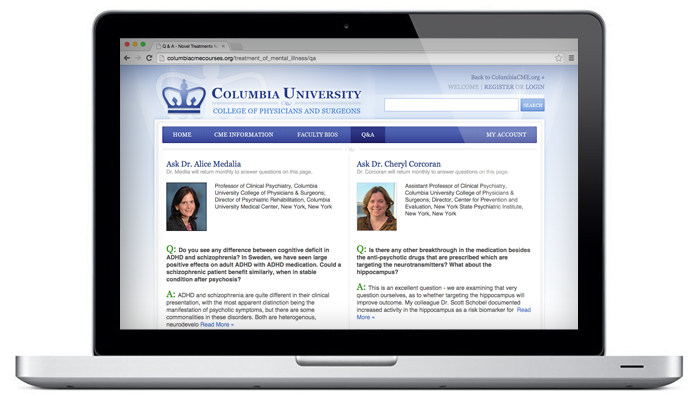 Based on user research, collaboration with stakeholders, and ACCME guidelines, the platform modernized Columbia’s approach to online CME, providing efficient workflows, a compelling and accessible user experience, and new forward-looking capabilities around outcomes measurement. A key highlight of this system was the Learning Community created around specific CME courses to facilitate discussion and Q&A between faculty and attendees. Faculty and staff could securely review questions and moderate discussions. They could respond privately to users or publish responses for the benefit of the community. Over 12,000 users have accessed Columbia’s CME to date. 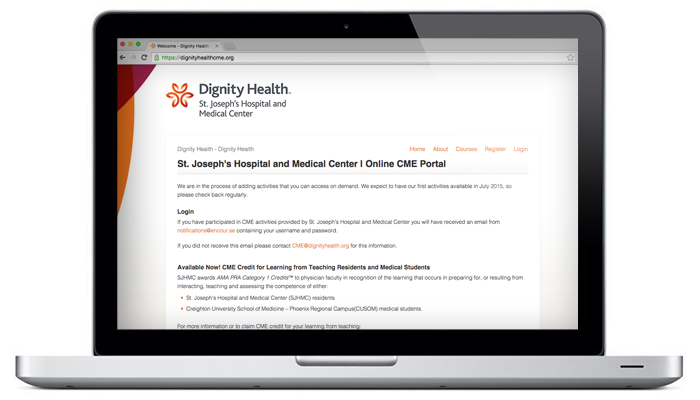 Frameweld developed a custom platform for online and offline CME for Dignity Health, the largest not-for-profit hospital chain on the West Coast. We extended Encourse and Workshop, our learning and media platforms with custom learning workflows and content management modules tailored for CME, while meeting all ACCME requirements and AMA guidelines. Doctors and medical professionals can easily access courses on traditional computers as well as smartphones and tablets. Ease of use, convenience, and accessibility define the user experience. The system captures detailed learning analytics with custom dimensions and provides specialized tools for reporting automation. Employees and users also have access to most of this data including tools to track their professional development. Your inquiry has been processed. Thank You. There were errors detected on the page.